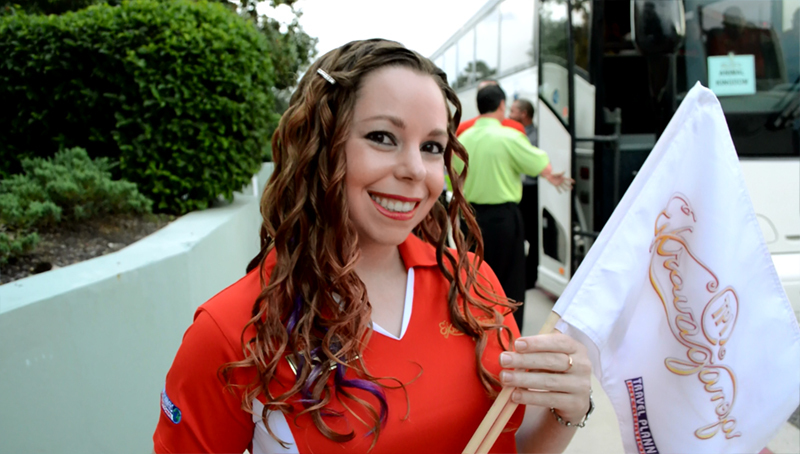 The 2015 TPI Extravaganza was held at Disney’s Contemporary Resort from September 23-27, 2015. The event was emceed by Coach Jenn Lee founder of The Work Creative Group. Attendees networked with Travel Planners International staff, preferred suppliers (Apple Vacations, Carnival, Celebrity Cruise Line, Disney Destinations, Norwegian Cruise Lines, Princess Cruises, Royal Caribbean International, Sandals, and others) and other TPI agents. 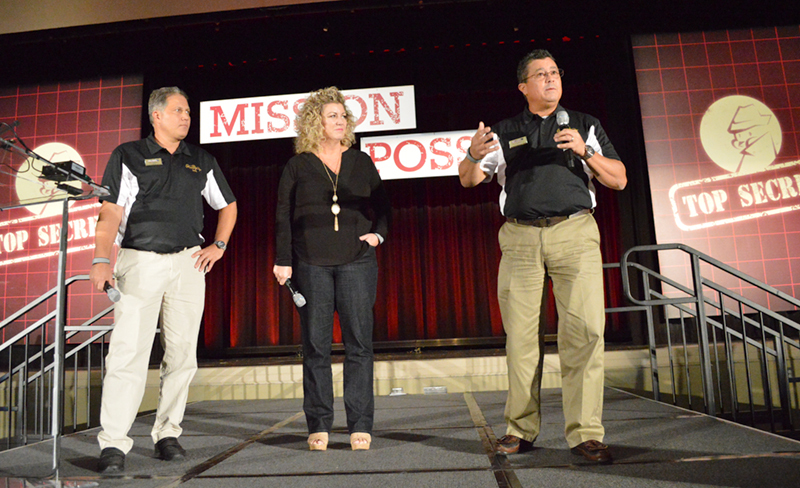 This year’s conference offered sales, social media and more specialty training. There were motivational keynote speakers, 75+ training classes, informative ship and site tours, and exciting special events! The Welcome event was at Epcot’s ShowPlace Theatre, where the focus was dinner, cocktails and dance party. The Farewell event was at Disney’s Animal Kingdom, where agents and TPI Preferred suppliers were treated to a Lion King show before going to a buffet with a bar. As an added bonus TPI opened the Mount Everest ride for everyone. Fun! 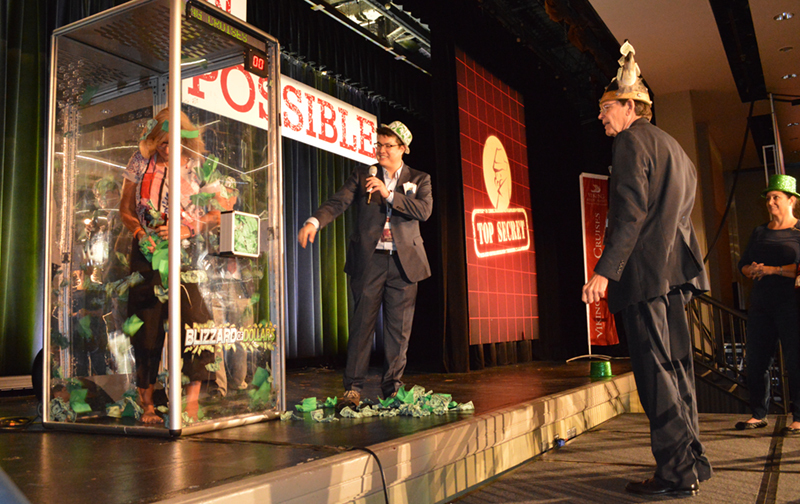 Read on to learn more about what took place at the 2015 TPI Extravaganza. You’ll discover that this is one travel industry event you did not want to miss. 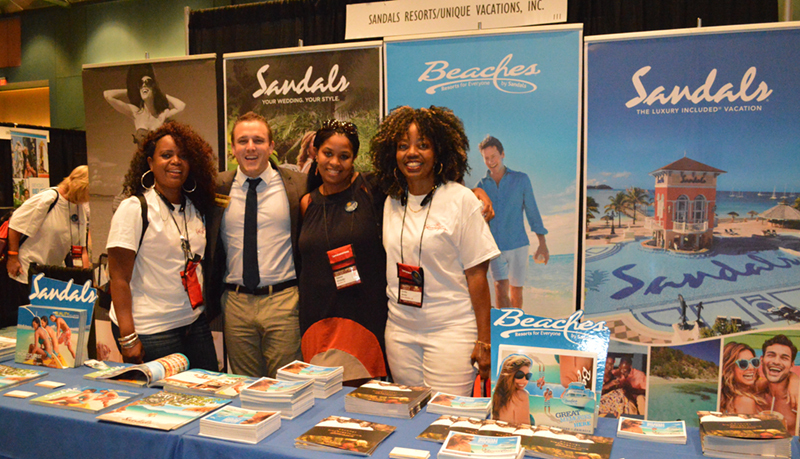 Sandals booth at the TPI Extravaganza Tradeshow 2015 – Jake Coldiron, Business Development Manager, with happy TPI Agents. 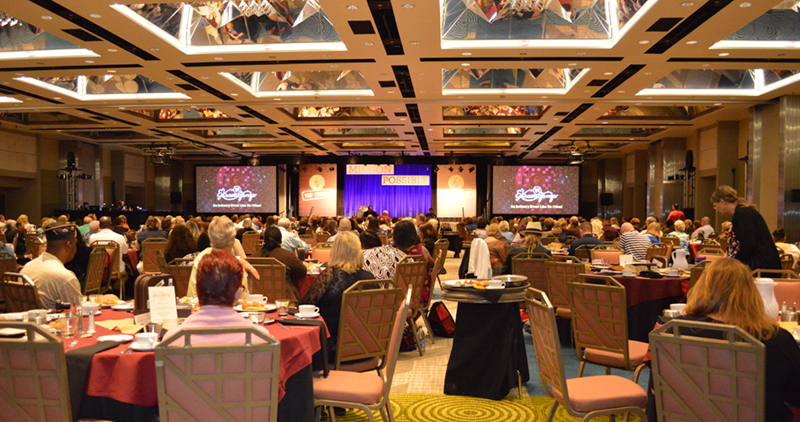 Classes, inspiring keynote speakers, informative ship and site tours, and thrilling special events – the TPI Extravaganza is a MUST attend event for any independent travel agent who wants to increase their business and income. Training sessions included Sales, Marketing, and Social Media courses. For example, on Wednesday, September 23, Shanel Knight-Tarver, Program Manager, Key Accounts with Norwegian Cruise Line, spoke to guests about Norwegian’s Freestyle Groups booking process. It’s revolutionized the way groups are booked and programmed. There are many benefits that offer Travel Partners increased functionality and flexibility within your groups; while improving on our ease of doing business by allowing you the option to work on your groups via BookNCL.com. In the September 23-24 training sessions, TPI Extravaganza Emcee Jenn Lee, founder of The Work Creative Group, spoke with guests about how to build their brands on social media and connect with and educate their target markets at the same time. Jenn spoke about identifying the best platform for your travel business, the basics of posting (hash tags, tagging, retweeting, uploading of content, etc. ), and how to easily leverage others content to get more people paying attention to what you have to share. Guests of the 2015 TPI Extravaganza were invited to participate in these and other training sessions offered. In order to give attendees the best there is to offer, they had the opportunity to attend a Trade Show, Vendor Round Tables and much more. Each Company/Speaker offered a chance for travel agents to build their professional portfolio and expand their industry knowledge. It was the best training event that they have been to recently. Learned a lot about social media, emails, hashtags and what it takes to communicate their message out of the traditional advertisement method. Were able to network and share ideas with other agents (experienced and non-experienced) from their area and from other states. The motivational speakers took over the floor! After Giovanni Livera’s presentation, everyone wanted to find out if there was space at the other speakers’ presentation or if Giovanni was having another class. Were impressed with the TPI staff. 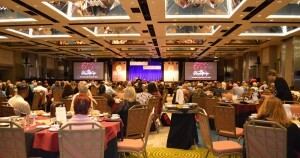 Some travel industry conferences and events are lackluster and drain your time, energy, and wallet. At Travel Planners International, we recognize that travel agents are small business owners. It’s why our annual Extravaganza is packed with business experts who can help TPI travel agents grow their bottom lines. Imagine attending one of TPI’s educational events next year and talking with suppliers, speakers, and other travel agents. You receive the resources and continuing education necessary for you to become and continue to be a successful travel agent. You make lasting connections. Seem impossible? It’s not. Wait until 2016 – you haven’t seen anything, yet! Contact Travel Planners International and start growing your travel agency today!